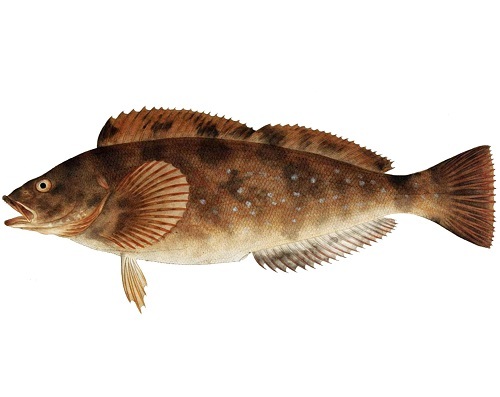 Groundfish in the US are caught as part of a multi-species fishery. Out of the 56 species/gear combinations, only 4 were found to be unsustainable: Kelp greenling from Oregon caught by handline, canary rockfish caught by handline, black and yellow rockfish from California caught by handline, and grass rockfish from California caught by handline. These species are covered in separate reports. Rockfish landings reached historically low levels in the early 2000’s. Recently, management has rebuilt the overfished stocks and 6 stocks are classified as rebuilding. In 2009, the value of the fishery was $66.1 million. Recent improvements in information availability on groundfish stocks have shown a general trend of increasing abundance and rebuilding stocks. Kelp greenling have life history characteristics that make them moderately vulnerable to fishing pressure. In 2012, a stock assessment found that kelp greenling are not overfished, but spawning fell below sustainable targets. The rate of fishing mortality is unknown. Management of a multi-species fishery can be challenging. However in this case, management is strong, as regular stock-assessments are performed, and regulations exist regarding biological reference points, harvest control rules, and incorporation of uncertainty when determining catch limits. In 2011, individual fishing quotas (IFQs) were established which requires 100% at-sea and dockside monitoring. The use of handlines is generally a selective fishing method which does not make contact with the seabed and limits coral and sponge damage. However, the kelp greenling fishery in Oregon causes the bycatch of China rockfish which is highly vulnerable to fishing pressure, and whose fishing mortality rate is of high concern. Kelp greenlingare not classified as species of exceptional ecological importance, and a fishery ecosystem plan is currently being developed for the groundfish fishery. According to observer data, fisheries using handlines were not found to cause coral or sponge bycatch.